"What a week it's been for me," said the Swiss, who struck 17 winners overall, including six off his elegant backhand. "I'm just so happy right now. It's unbelievable. I played here in 1999 for the first time and here I am in 2019. It means a lot to me." 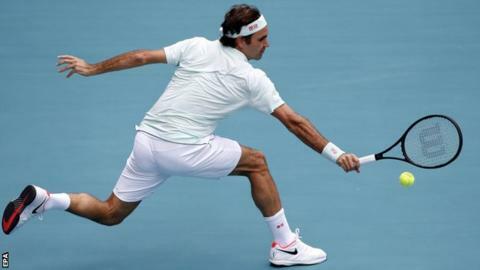 Federer had won four of their previous five matches on hard courts and asserted his dominance from the outset, losing only one point on serve in the opening set.